This country, Myanmar, is on the rise, economically as well as spiritually. 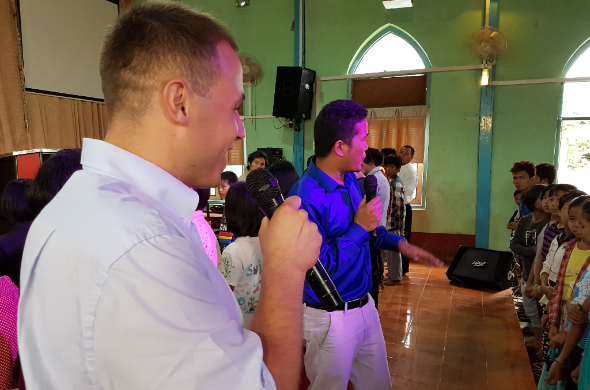 We believe that Jesus wants to come to this country in a completely new way, and wants to save unique and lovely Burmese people (people from Myanmar). In addition, he wants to blow in the existing churches with a fresh breeze. God has not forgotten this country. He waits eagerly for Burmese people to live with him. That's why we travelled across the country from the Indian border to the northeast of the country, and supported several local churches. 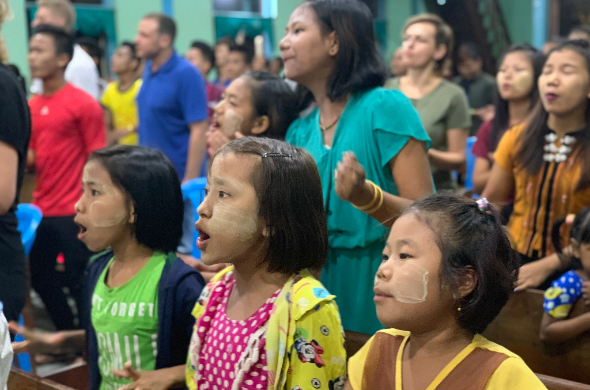 We want to have our own ministry in Myanmar so that we can support and teach local Christians, so they can preach the gospel and initiate mercy ministries themselves. Our goal is that the Burmese will go on the mission field themselves to proclaim the best message of the world. God has created this land to be a blessing to other nations, and we want to do our part to see His vision come to fruition. God is a God of the future. He wants young Burmese people to get to know him and become strong in order to change this country. 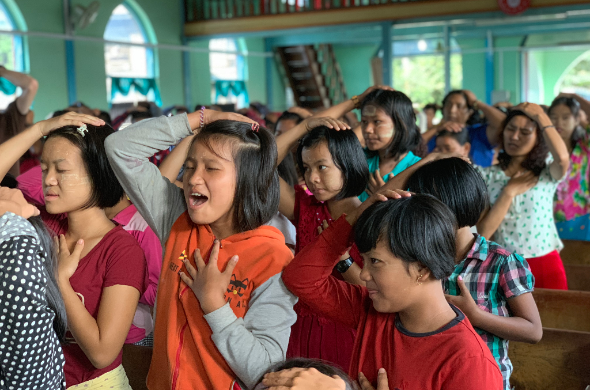 There are many young people in Myanmar who are hungry for more of God. They want a real relationship with God. We want to see that they find what God wants them to do with their life. He has a plan for every Burmese person, but he also wants to use the young generation in particular. 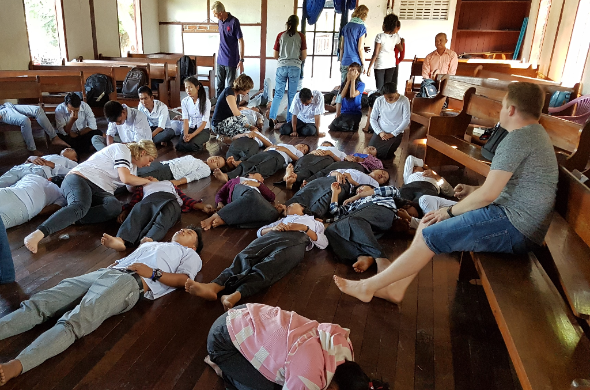 When we talked about having a relationship with Jesus in a school and shared the gospel, around 20 students gave their life to Jesus. Every decision has completely changed a Burmese person. This is supposed to happen more and more because Jesus wants to save many young people in this land. 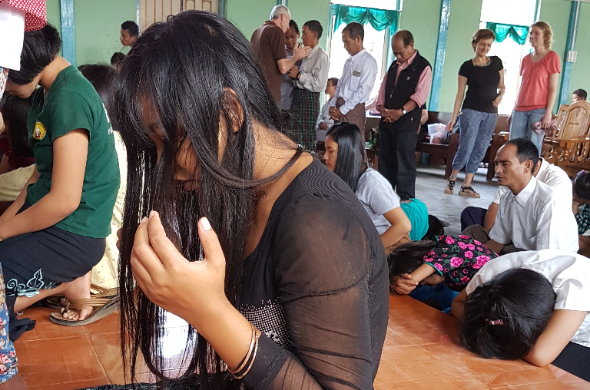 Our desire is that every Christian in Myanmar is baptized in the Holy Spirit. The relationship to the Holy Spirit makes the difference in this country. We know that Jesus promised His disciples that you will never be alone but the comforter will come to you. This promise also applies to Myanmar. We believe that the Holy Spirit wants to come in to this country much more. He is so important. That's why we kept talking about him. We ministered to people who wanted to be filled with the Holy Spirit. Many were touched by the Holy Spirit and heard his voice, others received the baptism of the Holy Spirit and began to speak in a new language. We are curious how the Holy Spirit wants to move in the future in Myanmar, and we want to be part of it.